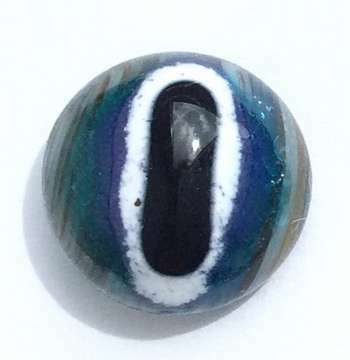 Glass eyes light blue whit white ring around pupil. Size 14 mm. Back side flat whit strong metal loop for sewing.